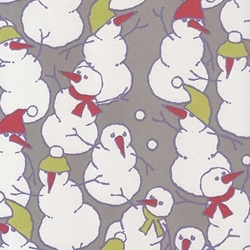 This adorable paper features snowmen lobbing snowballs at each other. A fun and funny paper for wrapping and for all paper arts! Printed on 100% recycled, 30% post-consumer waste Eco-White paper. Archival and acid-free.